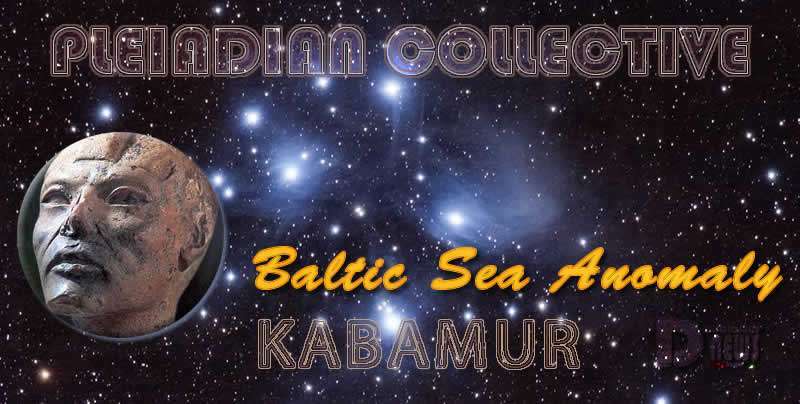 Baltic Sea Anomaly – Ikai – Pleiadian Collective. By Kabamur Taygeta. The Anomaly In Question Is That Of A Small Incapsulated Traveling Container Which Carries Cameras And Viewing Equipment To Scan Parts Of The Planet In Specific Areas. When the mystery object at the bottom of the Baltic Sea was first spotted in 2011, it baffled experts and excited alien hunters. They still don’t know what it is. 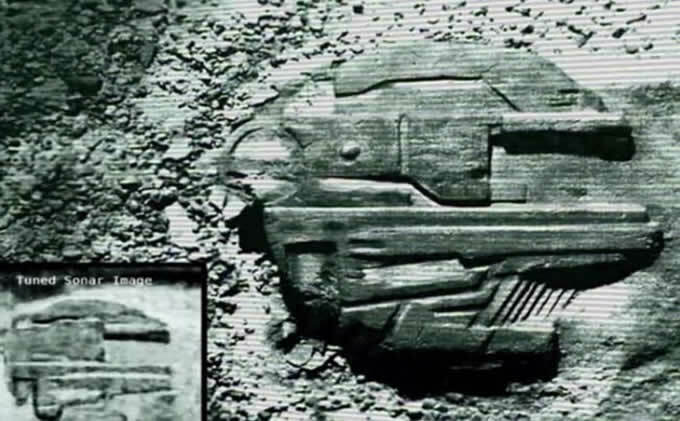 Dubbed the “Baltic Sea Anomaly”, the structure looks like the Millenium Falcon from Star Wars. It was discovered five years ago by Swedish treasure hunters, Ocean X team, led by Peter Lindberg, its captain, and his co-researcher Dennis Asberg. 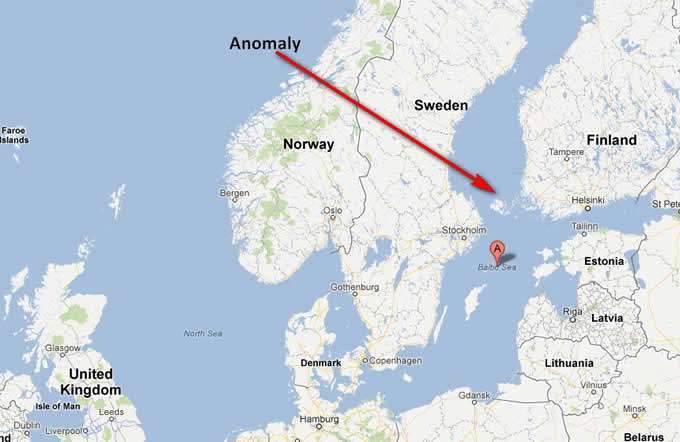 They used a side-scan sonar and found something strange 91 metres below the surface of the water. It was reported that the divers exploring the anomaly said their equipment stopped working as they approached it. The 61-metre-wide and eight-metre-tall circular object hit the headlines, with many speculating the anomaly could be a giant mushroom, a sunken Russian ship or an alien spaceship. A sample recovered by divers was given to geologist Steve Weiner who ruled out the possibility of it being a natural geological formation. After examining fragments, he claimed that the materials were “metals which nature could not reproduce itself”. Some experts think it’s a Nazi anti-submarine device or a battleship gun turret. Other observers believe it is a UFO called the “Roswell of the Ocean”, but there is still no evidence to suggest that the UFO-like object is an alien ship. This Is Not Ours As We Do Not Have These Blunders. This Is From A Planet Outside The Galaxy Which We Call AZEE. This Is An Ancient Race Of Beings Which Have Progressed Little In Terms Of Gathering Information. We Do Not Feel A Need To Put Others Down In Their Efforts, But This Is A Bit Laughable. These Beings Mean Well But Have Far to Go In Exploring. They Are Called ORITITES. These Beings Are 9 Feet Tall And Are A Yellow Tint To Body Form. They Stand Erect As Human And Breathe On The Sides Of The Head. They Have Continually Crashed Much Of Their Equipment On Multiple Planets. They Mean No Harm And We Wish Them Well. We Do Not Share Our Technology At This Time. This Should Answer The Curiosity Of Many As KABAMUR Has Requested. We Rise Together In Light!